She looks really good for 98 years old! 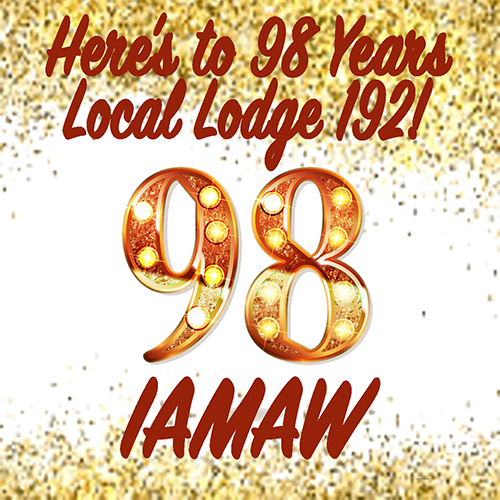 That’s how many years IAMAW Local Lodge 192 in Pensacola, FL has as of May 14, 2018. With a charter drafted on April 5, 1920 and signed in May of that same year, this is one of the oldest local lodges in the Machinists Union.